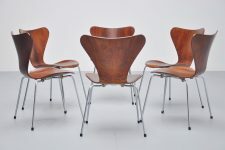 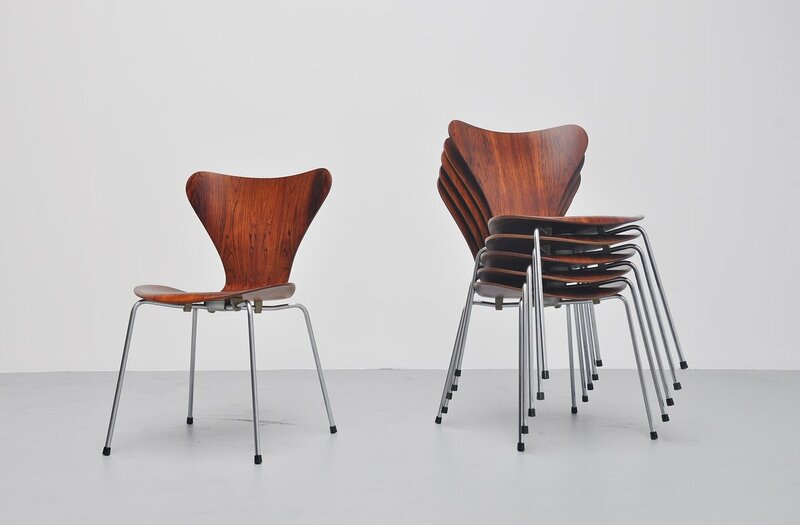 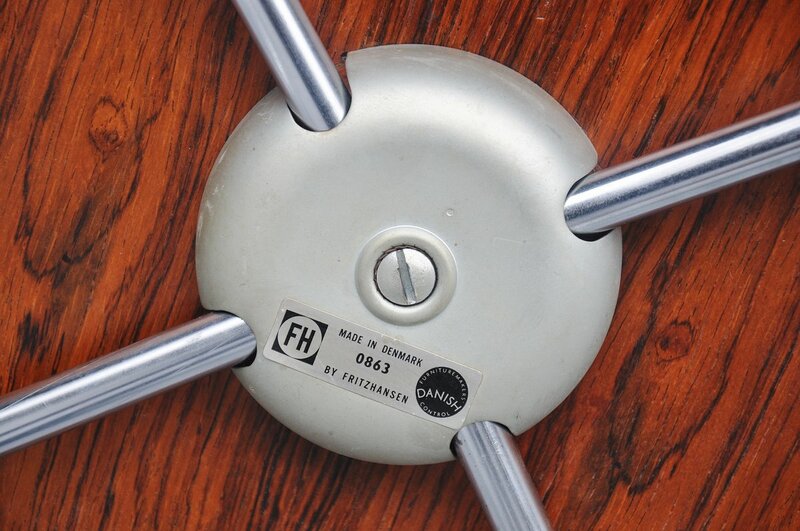 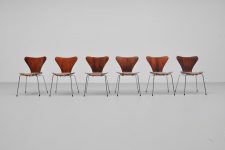 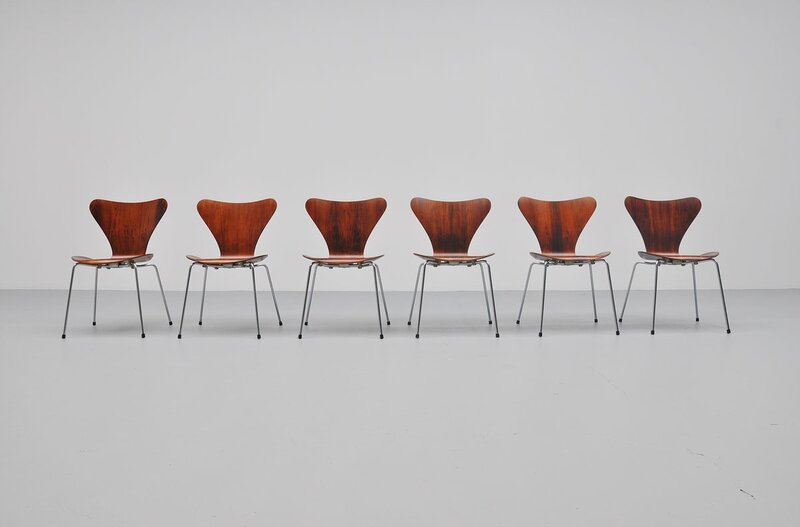 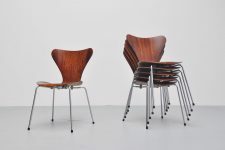 Very nice early set of 'butterfly' chairs designed by Arne Jacobsen for Fritz Hansen, Denmark 1958. 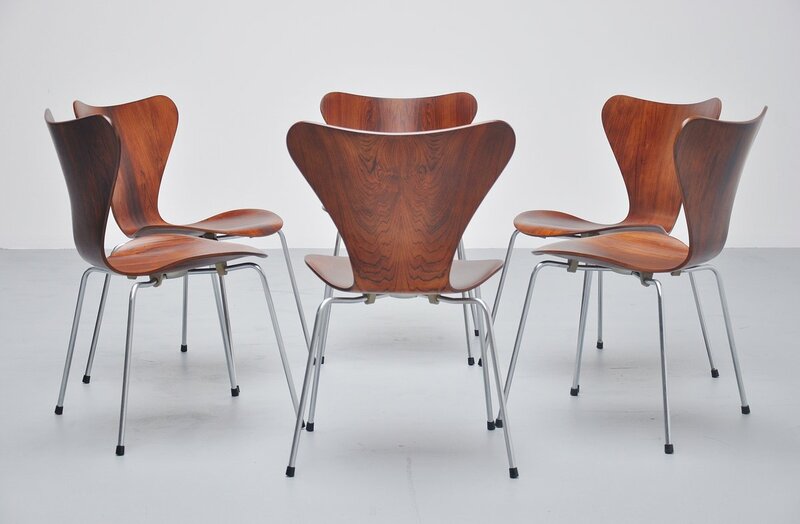 These chairs are from 1963 and come from first owner. 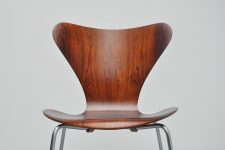 The Rosewood version of this chair is very rare cause the rosewood was much more fragile than other wood types used. These chairs are more museal chairs than daily usage objects. 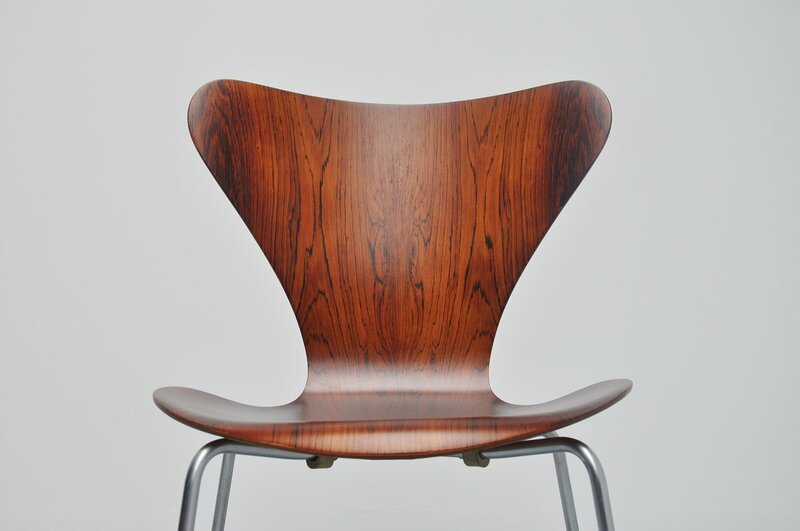 The wood has been refinished with high quality UV protection lacquer and have their original color again. 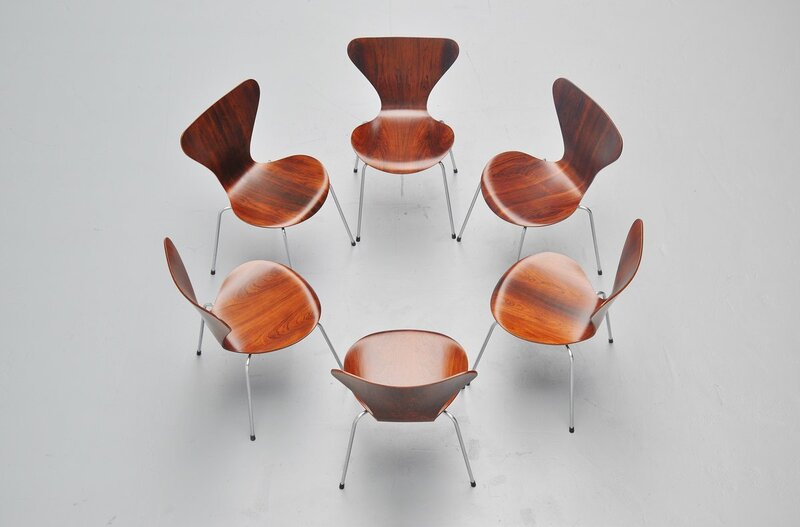 All chairs are marked and this is a fantastic set of chairs to see.